I'm wildly excited to share the new logo & website that I created for Allow Me Events. Kerri & Co. specializes in event decor and design in New York. From her About page: "What you see in Kerri is a true respect for her craft. 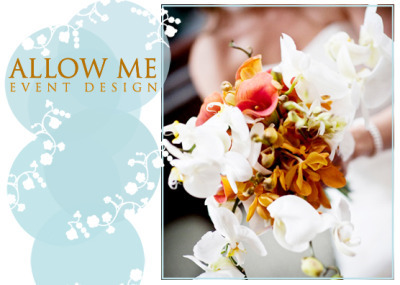 Her innate talent for floral design and décor, combined with her passion for life and work leads her to treat your event as her own, from start to finish." I had a great time working with Kerri on the new website and hope you'll enjoy it, too.